For those of you who celebrated Easter last Sunday, here's hoping it was a joyous day. In our family, we celebrated "The Feast of the Birth of Christine", aka my sister-in-law's birthday. 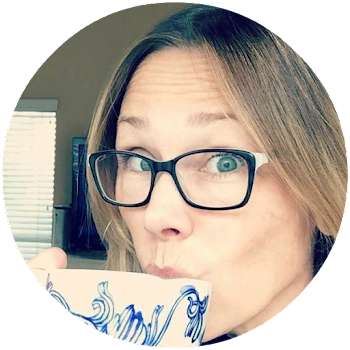 Christine is a snarky little thing who likes to remind us all she's the youngest of our bunch (sadly, this makes the rest of us quite old grown up) and seems to love her two golden retriever puppies more than she loves us (they are pretty freaking cute, though). She is also a generous, caring, sharp, beautiful and wise person who deserves all the deliciousness she can get. Her favorite dessert has become Pavlova, a light-but-creamy meringue-based tart covered in whipped cream and, in this case, sweet spring berries, named after prima ballerina Anna Pavlova because it floats in your mouth before melting there. The sensation is remarkable. Now, this dessert is normally made for Christine by her good friend Tom O'Connell, an incredible home chef, but as our family was spending her birthday together, I thought I'd have a go at it. My hat's off to Chef Tom because this treat is not for the faint of heart but the result is truly heavenly. 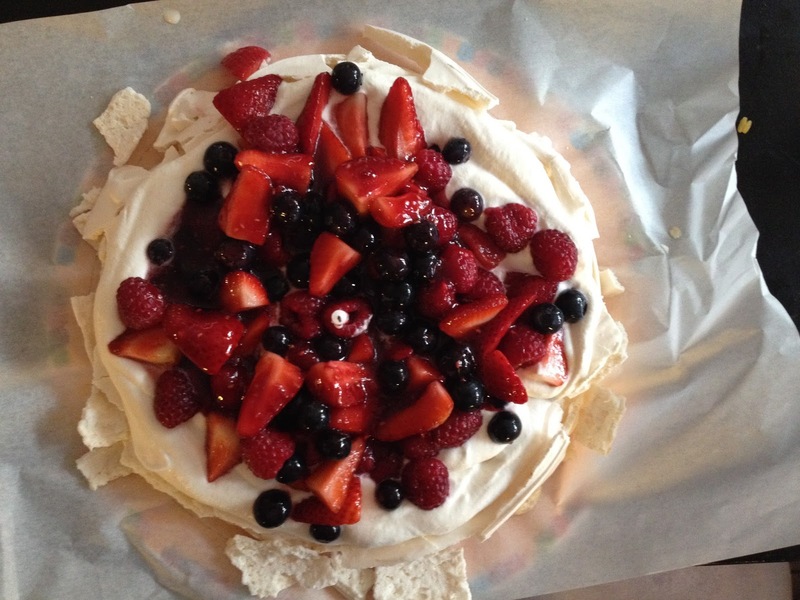 This recipe is pretty much stolen from based largely on the recipe for Mixed Berry Pavlova in Culinary Goddess Ina' Garten's Barefoot Contessa at Home Cook Book although I adjusted the baking time and temperature and a few other tiny details. Mrs. Garten calls this recipe "easy" although I might use the term "labor-intensive leap of faith". There is lots of whipping, baking, cooling, sauce-making, washing, chopping and waiting involved and one cannot control the outcome by toothpick-testing, temperature-taking nor touching. You just have to have faith that once you've followed the directions it'll come out correctly. Then you serve it, lump in throat, hoping the center is not overcooked, or worse, frothy. Amazingly, it is crunchy, chewy, light, sweet, tender and serenely unique - just like a certain someone we were celebrating! Let me assure you the result is worth every second of effort. Pavlova is unlike anything else and will wow your crowd. Preheat the oven to 200. 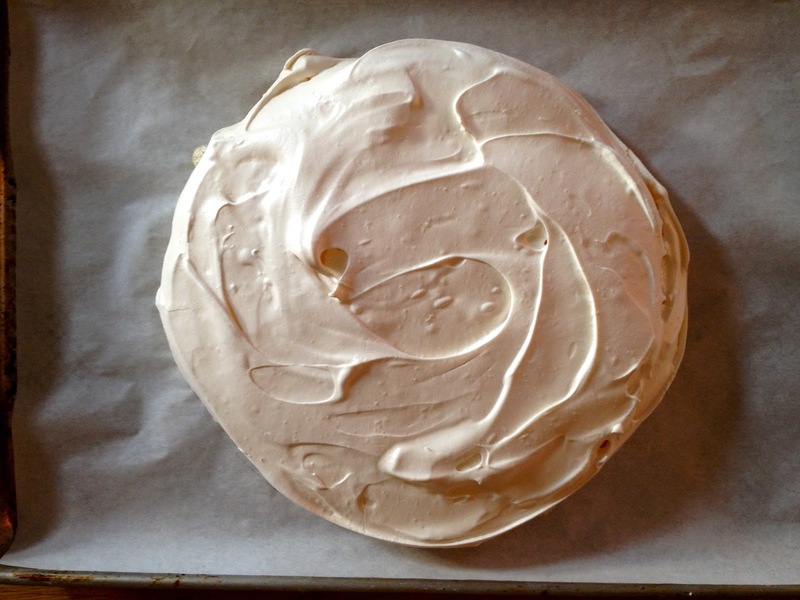 Place a sheet of parchment paper (not waxed paper) on a baking sheet, draw a 9" circle and flip the paper over so that you can see the circle but it won't stain your meringue. Whip the egg whites and pinch of salt until frothy and firm, about one minute. With the mixer running on high, slowly pour the sugar in and beat until it makes shiny peaks, about 2 minutes more. Sift the cornstarch onto the beaten egg whites, add the vinegar and vanilla and fold lightly with a rubber spatula until incorporated. Pour the meringue onto your parchment and gently spread it into the circle print. Bake for 90 minutes at 200 and then turn off the oven. Do not open the oven door. Leave the meringue in the oven another hour, then take it out and let it sit on the counter until you're ready to serve. Meanwhile, make the cream. Whip the cream, sugar and vanilla on high until soft peaks form, 3-5 minutes. Do not overwhip. If you do, add a bit more cream and whip lightly until you see those soft peaks. Prep your berries. Place the washed, dried and cut up berries into a bowl and sprinkle the sugar on top. Stir gently, cover and place into the fridge until you're ready to serve. Make the raspberry sauce. Place the raspberries, sugar and 2-3 T water into a saucepan and bring to a boil. Lower the heat and simmer for 4 minutes. Place the jam in the hot liquid and whisk until smooth. Set aside but do not refrigerate until the cake is served. Once cooled peel the parchment from the meringue and place the meringue onto your serving dish. Spread the whipped cream over top, then the berries and, lastly, drizzle about 1/2 cup of your raspberry sauce onto the cake. Serve immediately. Shiny peaks. These have the sugar in them. Side view so you can see all the elements together. It's truly unique and scrumptious. 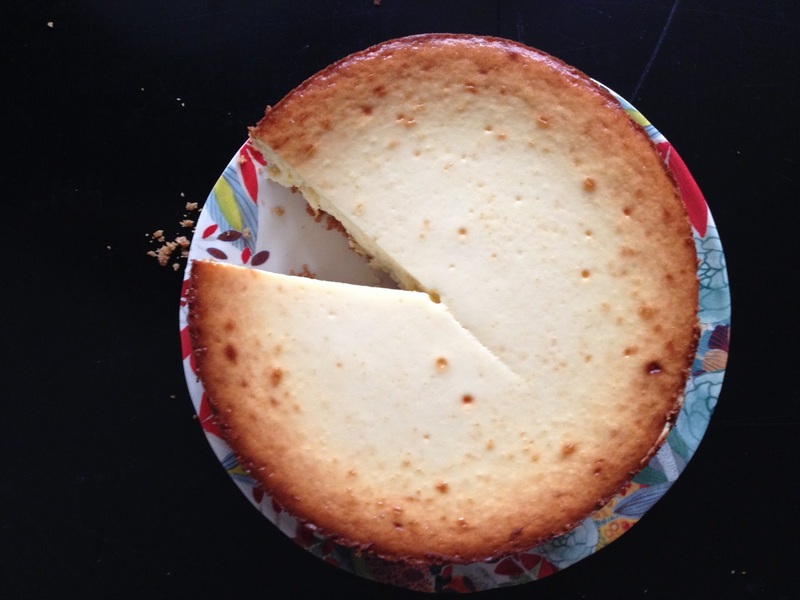 In honor of the holy-days this week, I thought I'd bake up one of my favorite labors of love, cheesecake. My favorite is a New York classic: the kind that can be topped with anything from caramel sauce to fresh berries but is really most delicious when eaten slowly, bite by bite, savoring the rich tang of cream cheese, sour cream, sweet sugar with a waft of lemony vanilla and the delicious crumb of a fabulous buttery graham cracker crust. My favorite recipe comes from Cook's Illustrated's American Classics Cook Book as it not only tastes heavenly, it is also fairly simple to prepare. Well, maybe not simple, but straightforward. Put it this way, there will be no whipping of egg whites and folding them in. The only alterations I made to the recipe were doubling the graham crackers (I prefer more cookie to each bite) and adding more sugar to the crust. The cake itself is, as I wrote in the book, "Perfect. Literally." The way I see it, if you're willing and able to put in the time and you have or can borrow a 9-inch springform pan, anyone can make this gem. And, as it is a holiday weekend, perhaps there is no time like the present? Butter the bottom of a 9" springform pan. Make the crust. 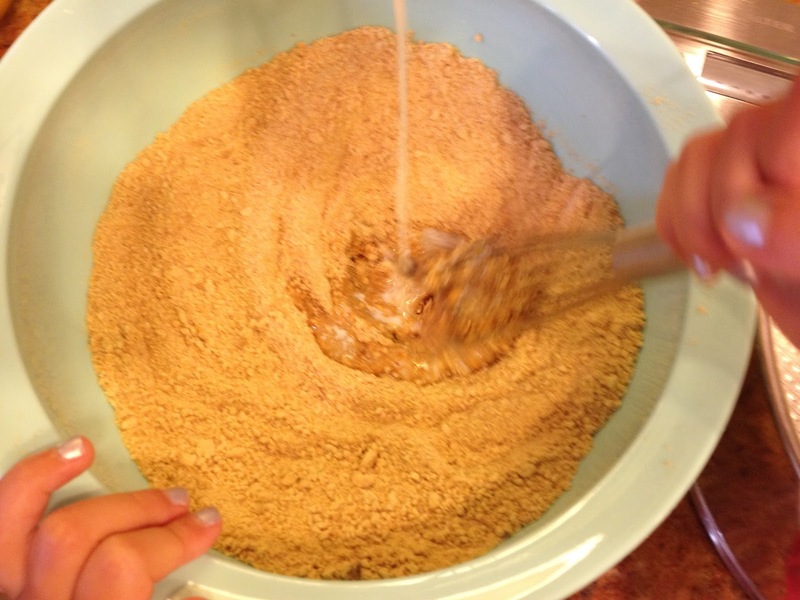 Mix graham cracker crumbs with sugar and salt until well blended. Slowly pour in melted butter, stirring to incorporate. Pour crumbs into the prepared pan and tamp down on the bottom and up the sides about 2 inches. Bake in preheated oven about 15 minutes or until your kitchen is filled with the scent of freshly-baked cookies. Take the crust out and set on the counter to cool. Turn the oven up to 500. Make the cheesecake. Blend the cheese until fully incorporated and creamy. Add in the sugar, a little at a time, beating until incorporated and scraping down the sides. This should take about 3 rounds of pouring in sugar, beating until mixed in, scraping down the sides and repeating. Add the salt, sour cream, lemon juice and vanilla and beat until combined. Scrape the bowl and add the yolks. Scrape the bowl and add the eggs one at a time incorporating each and scraping the bowl before adding the next one. This will make sense as you do it because the batter is so large, you'll notice certain bits don't get mixed in unless you scrape over and over. Pour the batter into the cooled crust and bake at 500 degrees for 10 minutes. Without opening the oven door, turn the heat down to 225 and bake until the center of your cake registers 150 degrees, about 90 minutes. Mine took 2 hours this time, so, you may need to bake it longer and keep checking it. Cool the cake for 3 hours on the counter and then overnight in the fridge. When serving, run a knife around the edges before opening the spring and removing the cake. If you're a little gun shy, leave the cake on the bottom of the springform pan, but if you're feeling saucy, run a spatula underneath the cake and slide it onto your presentation plate or stand. As you cut the cake into slices, make sure to wipe your knife down after each cut so that you get good-looking slices for your guests. If you're using sauces, drizzle them over and eat up. 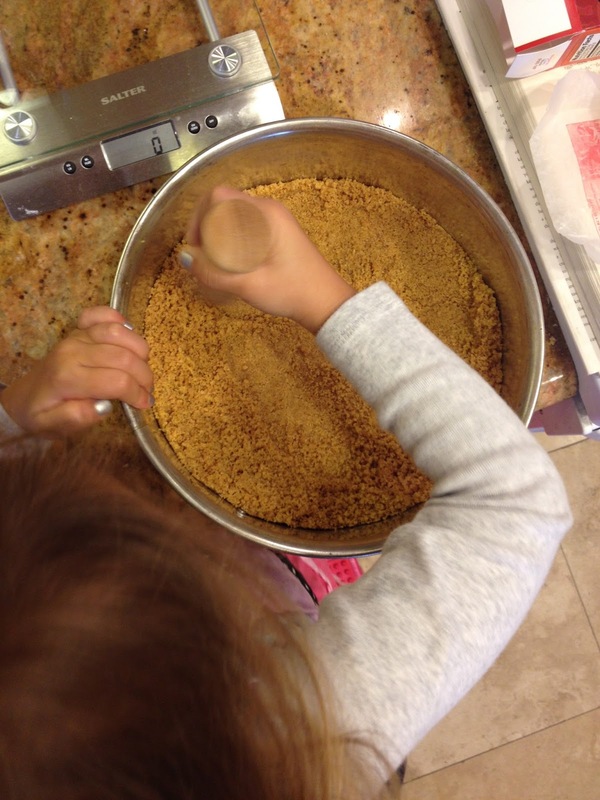 My little helper blending graham cracker crumbs and sugar and salt. Pouring in the butter as Lulu stirs. Tamping. You can do this with your fingers or the back of a spoon, too. 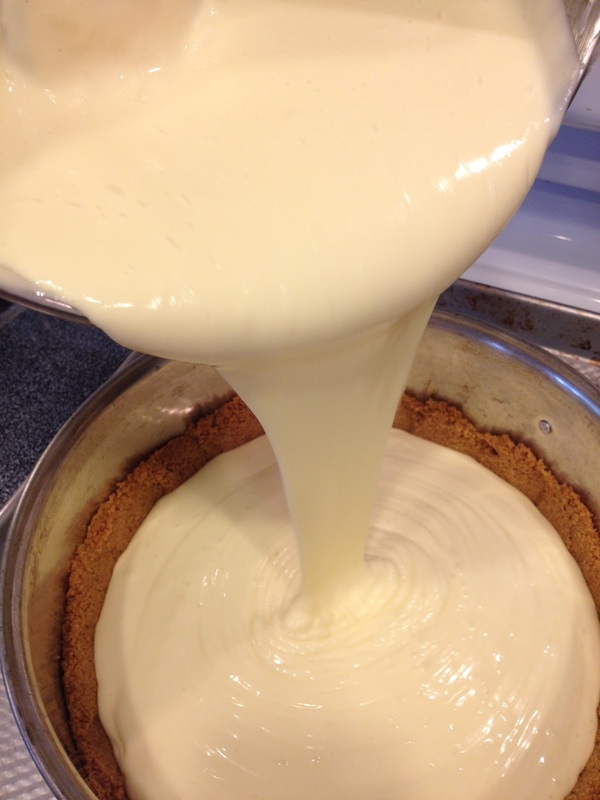 I included this photo so you could see how liquid the batter is before baking. Cross-section. See how much cookie is there? Mmm. I ate 2 of these in about 3 minutes. 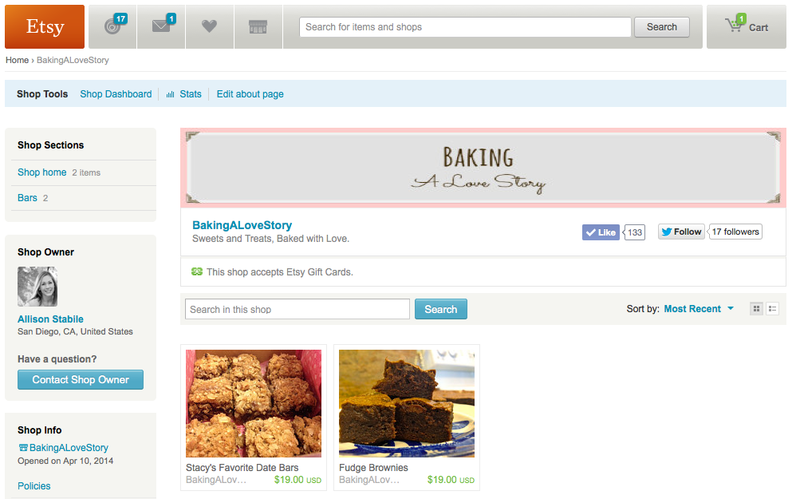 Again, because of the time it takes to make this right, it can feel like a labor of love. But once the soft, sweet, creamy cake is in your mouth, it's all worth it. Because I am spoiled and will only eat freshly baked cookies, and because I have to have a treat every day, I try to keep cookie dough in my freezer at all times. Also, it's pretty amazing to be the auntie who can always whip up some freshly baked cookies at a moment's notice. I often search the interwebs for recipes and last holiday season Martha Stewart's Holiday Shortbread Cookies especially caught my eye for their versatility and freeza-ability. You like nuts but your husband doesn't? No problem! Split the dough and stir in separate ingredients. Want chocolate and vanilla, but not together? Sub 1/4 C cocoa powder for 1/4C of the flour in half the batter. With such a delicious, not-to-sweet-but-very-soft-and-buttery dough, practically any additions are going to work. Chopped nuts, dried fruit and chocolate work equally well in the dough, plus once formed, you can roll the logs in any additional ingredients you might like, such as turbinado or colored sugar, sprinkles or more chopped nuts - really almost anything. The dough will keep up to six months wrapped in plastic wrap, dropped into a ziploc bag and placed in the freezer. Just pull them out when you're ready to bake, slice and pop them into the oven. What could be easier? 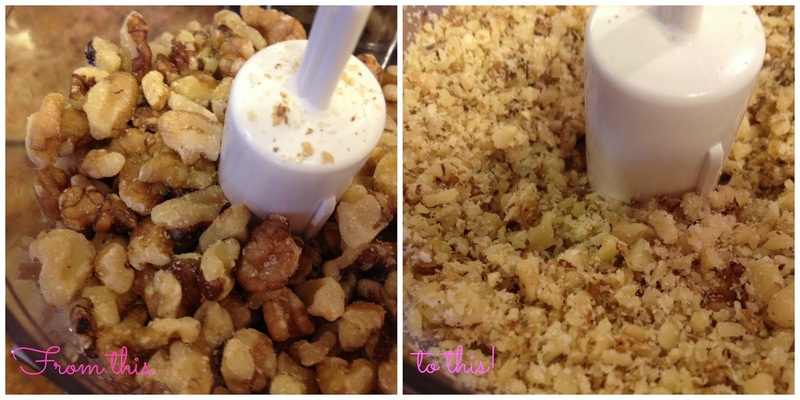 In a food processor or stand mixer, blend the butter, sugar and salt. Add the flour and pulse or mix until combined. Divide the dough and place half into a second bowl. Fold the mini chips into half the dough and the cranberries into the other half. Form the dough into logs and wrap the chocolate chip log in plastic wrap and set into the fridge. 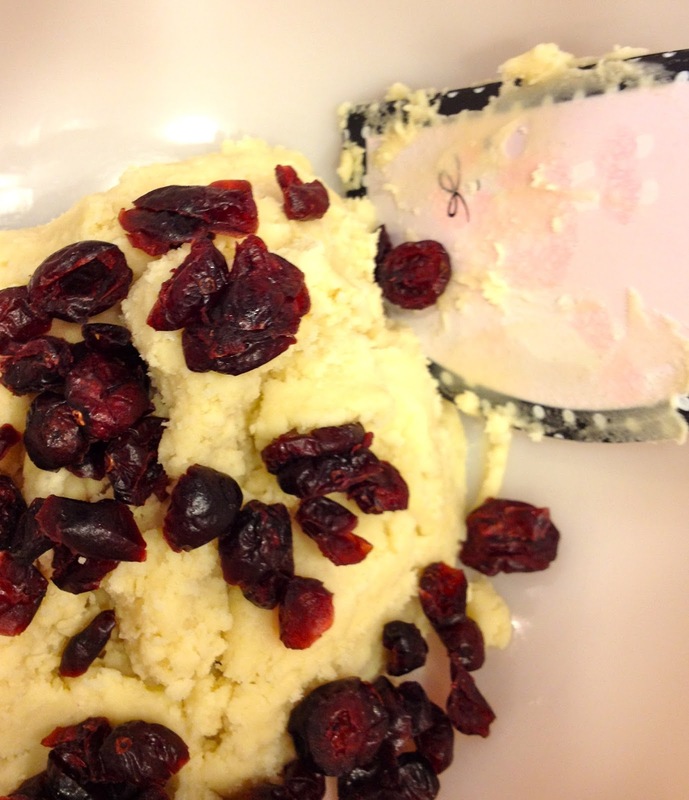 Roll the cranberry dough into the walnuts and follow suit. Let the logs firm up in the fridge at least 45 minutes, or overnight. When you're ready to bake, pre-heat the oven to 350. Slice the logs into 1/4" slices (mine are a little thicker and yield a few less cookies, but I like them that way) and place onto cookie sheets. Bake 15 to 18 minutes or until lightly browned and let cool. Don't be surprised if your Fedex man knocks on the door to hand deliver your package as these cool on your counter. The scent does seem to waft down the road a bit. 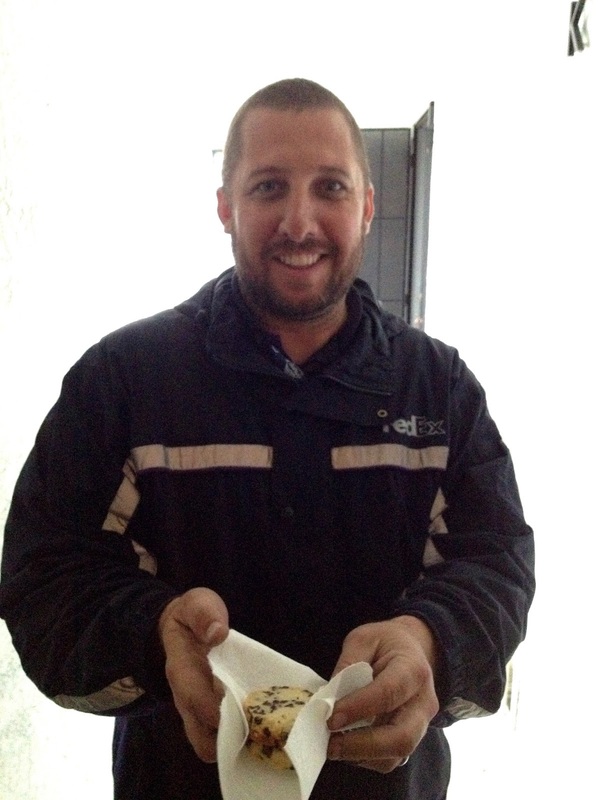 Amazing how the scent of warm cookies will garner an actual hand delivery! Cranberry Walnut Ice Box Cookies. Brew your tea and sit down. Take a moment to savor these delicacies on your own. They're worth it. 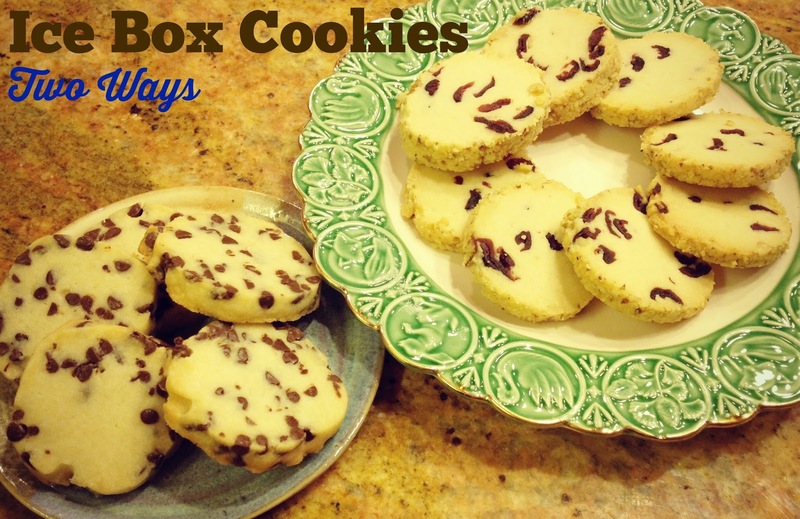 These are excellent for a holiday cookie exchange as they are truly versatile. They also make excellent gifts as they keep nicely for several days covered at room temperature and don't break when you drop them into gift bags. As I mentioned, you can also keep the dough wrapped tightly in the fridge for up to 6 months and have warm, freshly baked cookies any time you want - especially if you're single (which I am not) and may want to impress a certain delivery person (I did nothing of the kind. At least, not intentionally! ).